Disputes are generally resolved through the judicial system, i.e., one party takes another to court. There are many different types of courts, such as small claims courts, municipal courts, superior courts and federal courts. Regardless of the type of court, when someone files a lawsuit, the complaint and all other documents filed in the case are public record. Nor does it matter the type of case, i.e., civil, family, employment, wrongful death, business or bankruptcy. Once a case is filed, it is a public record. In addition to the fact that the parties “air their laundry” in public whenever there is a court case filed, they also give up control of their dispute. In other words, when a lawsuit is filed, a judge or a jury determines the outcome for the parties. In court, there is always a winner and a loser. Alternative Dispute Resolution (ADR) is the concept of taking a case out of the court system and resolving it in a manner that may be confidential. Mediation is an ADR process whereby the parties are assisted by a trained and skilled third party who serves as a mediator. The mediator meets privately with the parties to facilitate confidential communication, reconciliation and negotiation between the parties in order to reach a voluntary and mutually agreeable resolution. Mediation is based on the principle that people are able to resolve their own disagreements if given the right support. Generally, it is non-adversarial as the parties are not together in the same room and the parties agree that all information is shared in a safe, voluntary and confidential process. Either party can withdraw or choose not to participate at any time. The mediator does not judge who is right or who is wrong, but works with parties to help them arrive at a solution to satisfy their interests. The mediator will not reveal any confidential information to anyone. 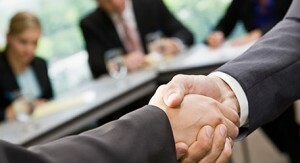 The mediator does not represent any party at mediation. Any disagreement can be mediated. Whether it is a civil dispute involving hundreds of thousands of dollars, a workplace dispute, a divorce, or a family matter, the parties can resolve it without resorting to adversarial litigation. Even after litigation has been started, mediation can be a practical way to settle the matter in a less expensive and timely manner. Everyone should consider mediation. Mediation allows the parties to maintain control over their decision making rather than letting a judge decide their fate. The parties control the amount of information that becomes a part of the public record. Mediation usually provides a quick, cost effective and satisfactory outcome rather than litigation. It may take months and sometimes years to resolve a disagreement in court. But mediation can be paced according to the parties’ needs and schedule. In mediation, the parties are able to customize the settlement agreement to meet their needs rather than being constrained by the limited options available in court.